When it comes to eyeliner, I’m not going to lie, I like it pretty basic. Even though I have a little play around on nights out, for day, I like it super subtle and super black. I also need to to stay put all day long. Since I have the world’s wateriest eyes and a habit of rubbing my eyes when I’m tired, this is harder than it sounds! 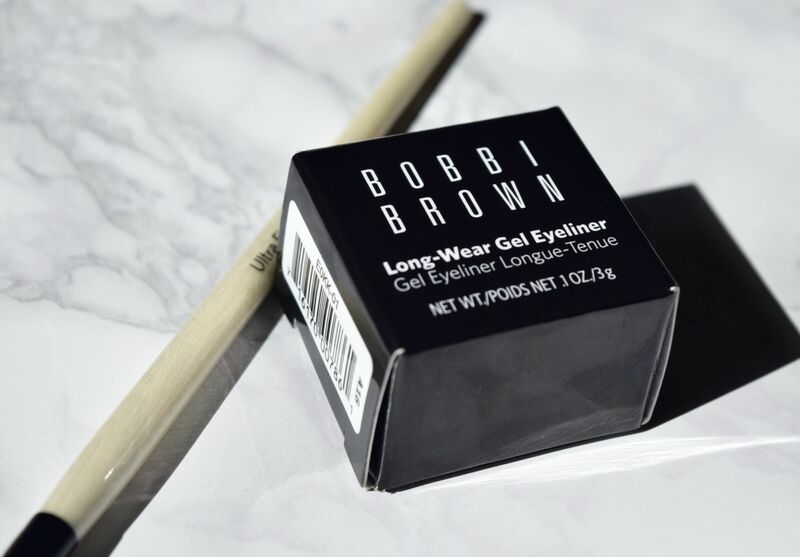 I’ve had a pot or two of Bobbi Brown’s Long Wearing Gel Eyeliner in my collection for as long as I can remember, but it’s never something I’ve really gotten into before now. 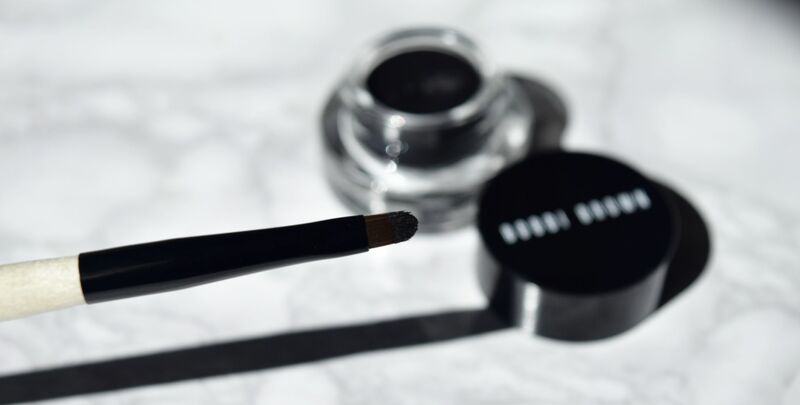 But, after experimenting with a couple of shades in the Summer collection, and then finding this, along with the Bobbi Brown liner brush in my goody bag from the Edinburgh store opening, pretty much sealed the deal. 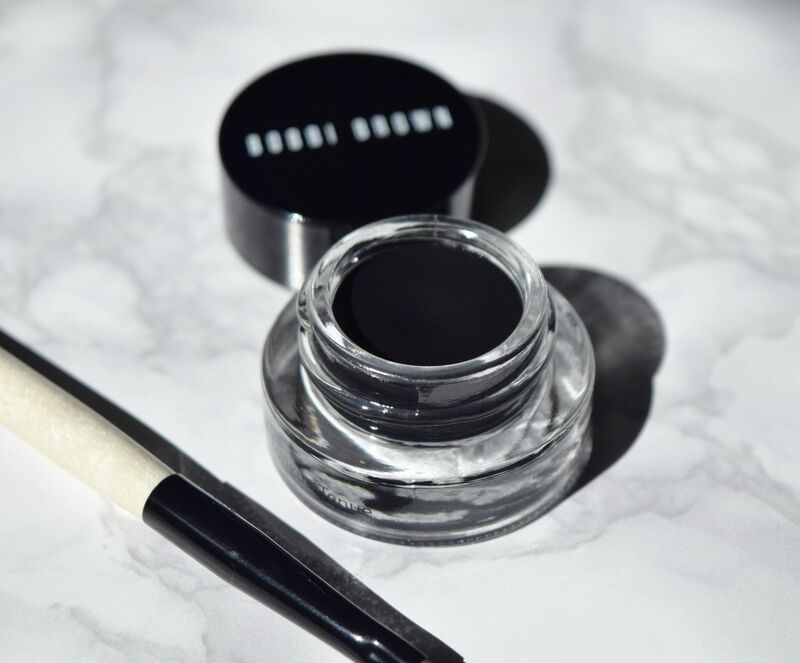 Rather than creating anything too graphic or noticeable, Bobbi Brown’s Long Wearing Gel Eyeliner is perfect when it’s smudged deep into the lash line. It creates a wonderfully naturally looking definition which feels super polished without feeling like it’s too much. Then in the evenings, it’s incredibly easy to ‘glam up’! The consistency of the gel liner is buttery soft, and the colour pay off is insane. I only need a single stroke to achieve a beautifully graphic line. So I think it’s fair to say, nineties fashion is having a major moment. The amount of chokers, crop tops and velvet in the shops doesn’t lie, so it was only a matter of time until beauty shelves had a bit of a flashback too. I’m in my mid-twenties, so was a tad young to hop on the super dark lips bandwagon the first time around (although I pretty much single handedly kept Hard Candy in business). 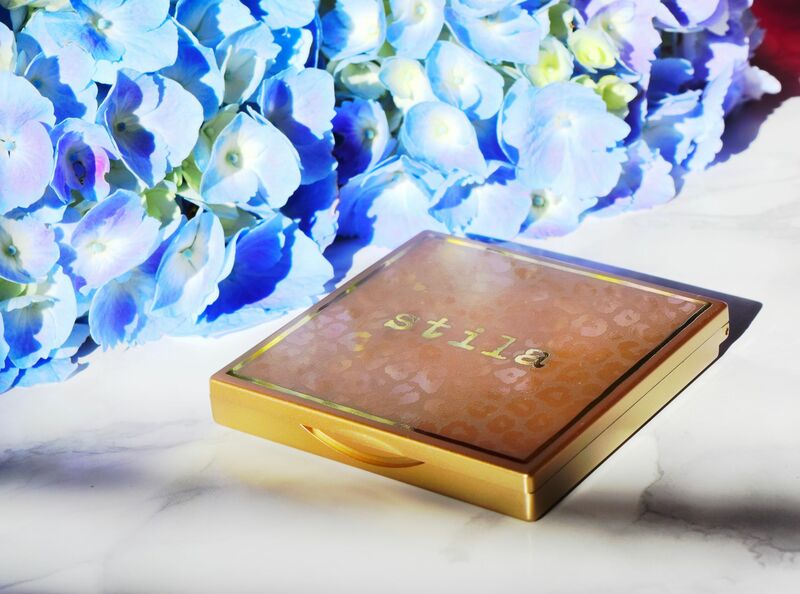 So seeing the amount of chocolatey goodness on the beauty counters at the moment is a real flashback. 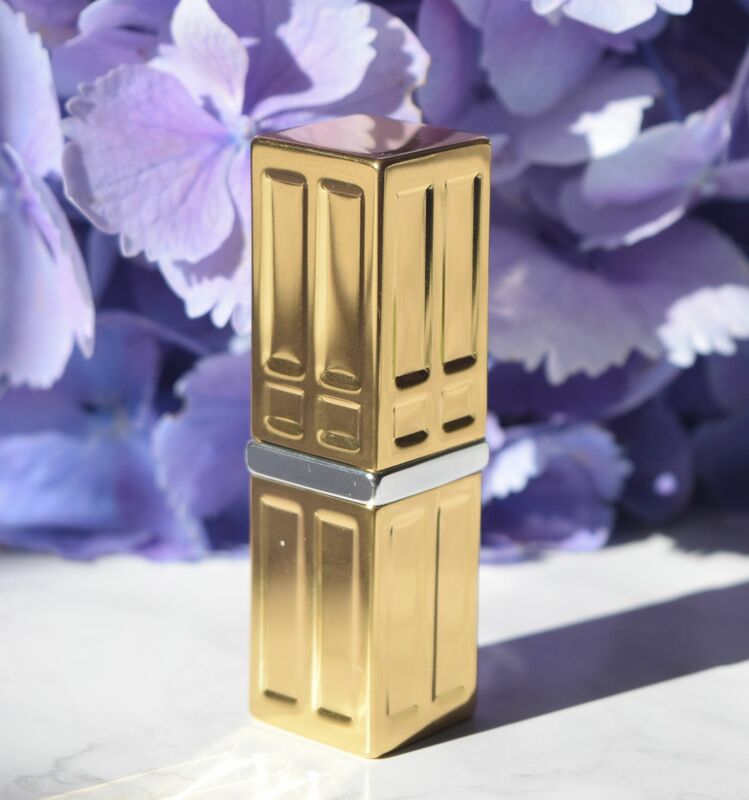 Elizabeth Arden kindly sent over their new and limited edition Beautiful Color Lipstick in Matte Chocolate, which is just the shade if you’re looking for a bit of glamorous grunge. Matte Chocolate is a stunning red-toned brown, which, in my opinion, is the most flattering way to wear the trend. After applying a light base and dusting of bronzer, I primed my lips with a little balm, then applied straight from the tube. 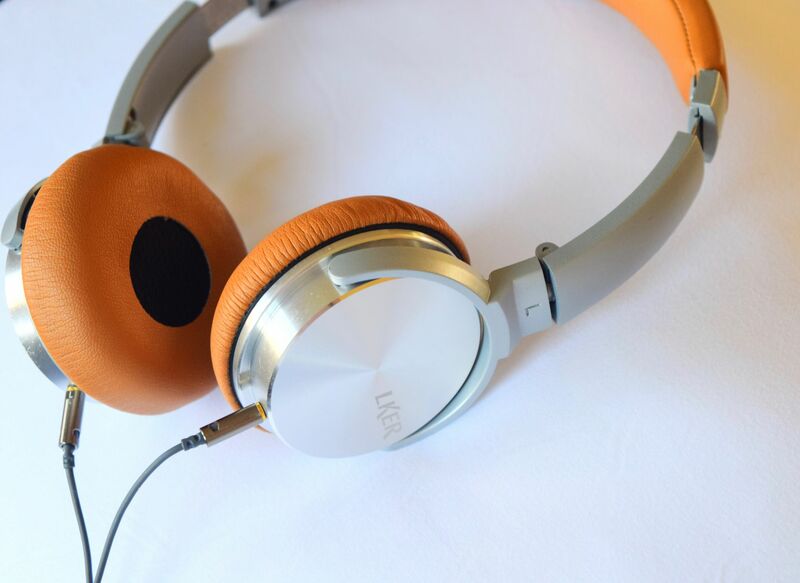 Matte Chocolate applied wonderfully smoothly with an insane colour payoff. 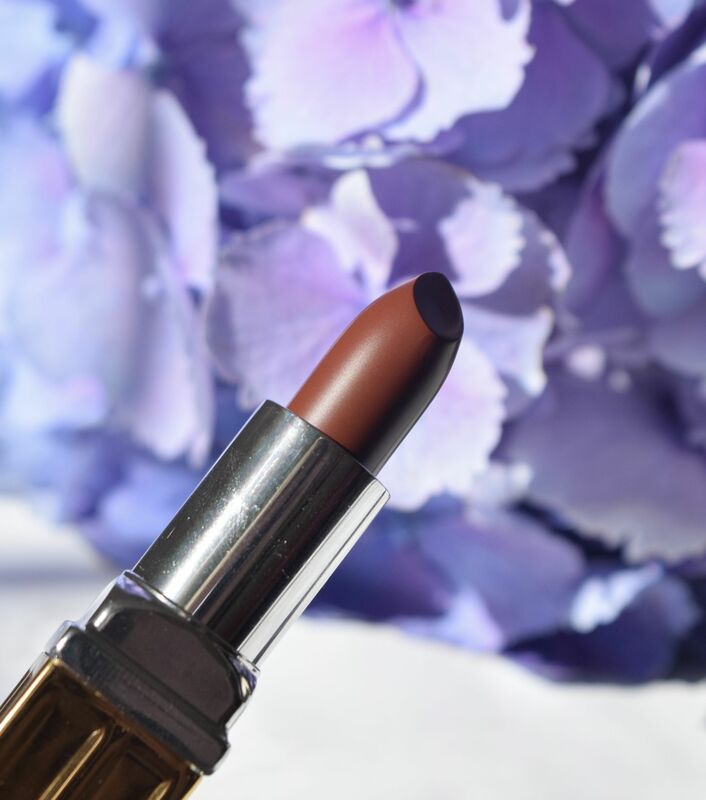 Unlike liquid lipsticks, which tend to feel super drying, Matte Chocolate is a creamy affair which just glides on. And it doesn’t shift either! I got three hours before I noticed a slight fading, but a quick swipe got it back to it’s best! 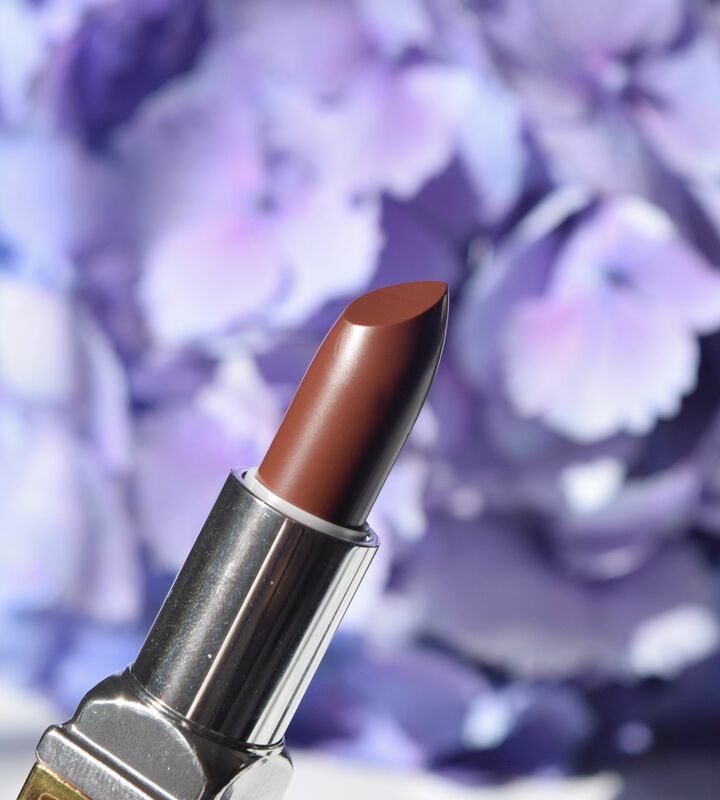 Is this the best brown lipstick? I think so! Do you know when you see something and just know it’s going to be great? It’s the best feeling, and one that doesn’t happen too regularly. 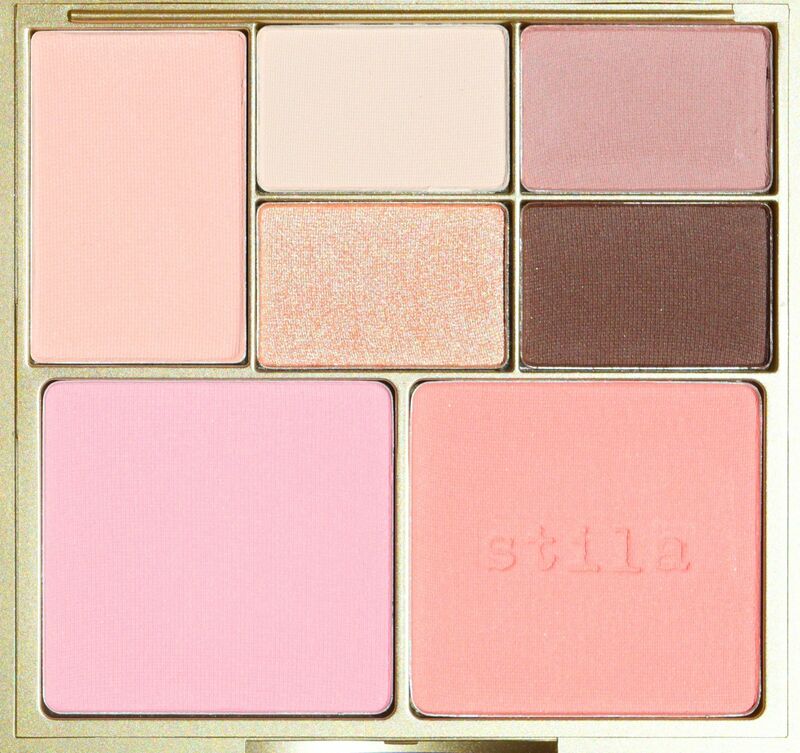 So, when Stila’s Perfect Me Perfect Hue palette appeared a few weeks back, I got rather excited. I fell in love with the packaging first, and it would be hard not to! 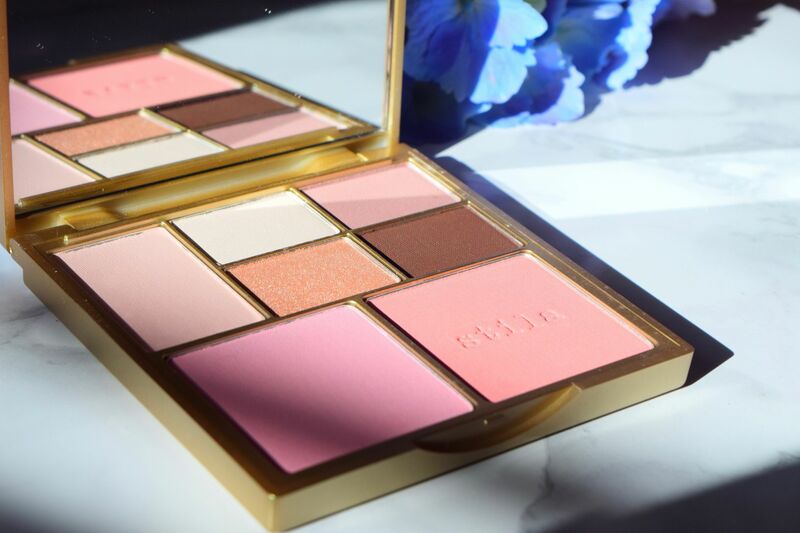 The compact is sizeable enough to hold five good sized shadows and two blushes comfortably, and it’s a stunning brushed gold. The lid is also covered in a self-coloured leopard print which is just adorable! 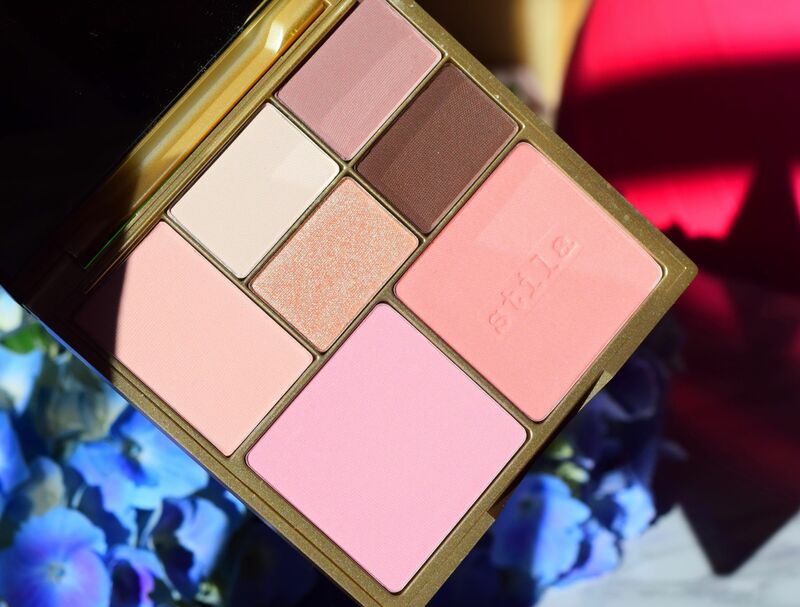 The Perfect Me Perfect You palettes are available in three colour ways – Fair/Light, Medium/Tan and Tan/Deep. I was sent the lightest option, and for my colouring, it’s perfection. Fair/Light is the most perfect mix of cool, blue toned pink, and slightly warmer peaches. 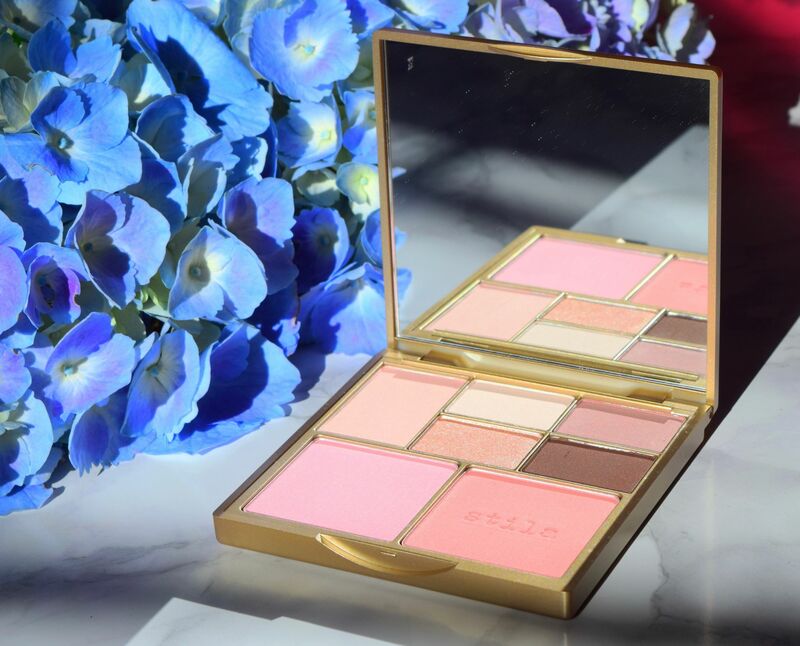 If you’re looking for a palette that’s going to leave you looking natural and groomed – this is the compact for you! 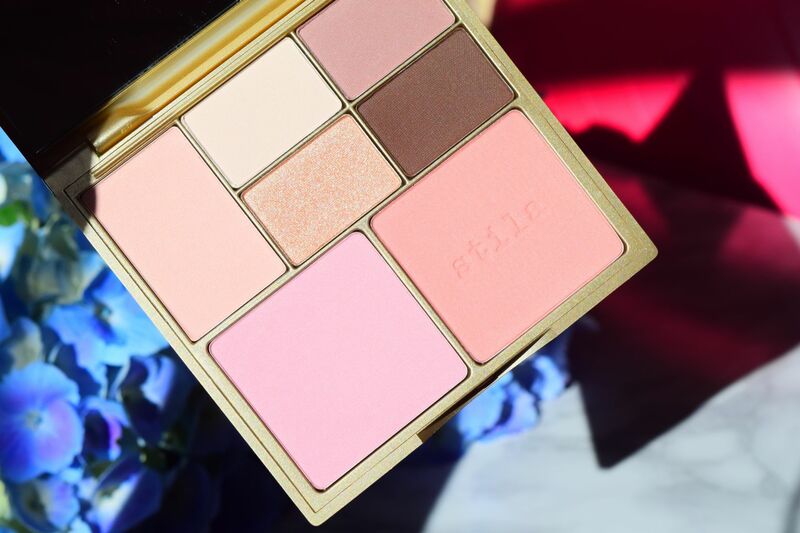 The Perfect Me Perfect Hue palette is a real lifesaver in the mornings! 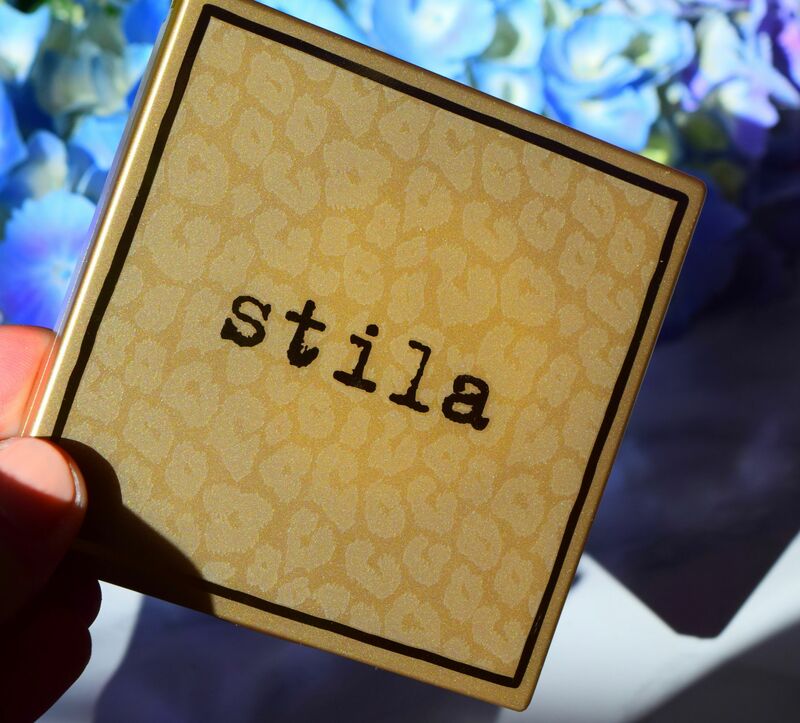 It takes the guesswork out of makeup, and I love the fact that each product serves a purpose (which Stila have helpfully included on the base of the compact). Working from the top, I cover my entire lid, all the way to my brow bone in the base (top left) using a fluffy brush. Then, I buff the highlighting shade (top centre) into my brow bone and in the inner corner of my eyes. It’s seriously brightening, and it eradicated the damage done by late nights! I then buff in the taupe (top right) into my crease, making sure that there are no harsh lines. Then the fun begins! Using my ring finger, I then pat the centre glitter shade onto my lids. I’m obsessed with the texture of the shadows. 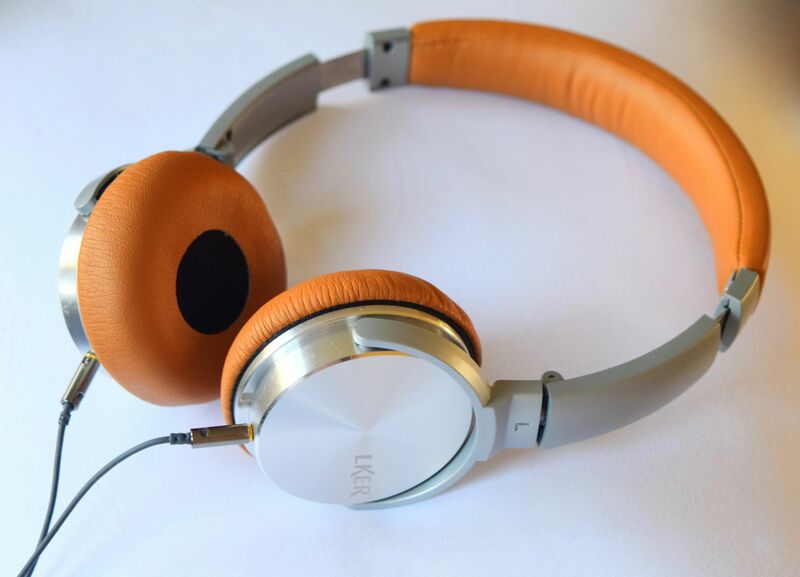 They’re all buttery smooth, with wonderful colour payoff, and they are perfectly bendable. To finish my eyes, using an angled brush, I smudge the deep chocolate brown into my lash line, making sure it’s not too harsh a line. Then, once I’ve applied my bronzer, I swirl a little of the peachy blush from my cheek bones up to my temples, then add a little pop of the blue pink blush to the apples of my cheeks. The formulas of both are just dreamy and add a believable glow (which is very necessary on these dark mornings!) which lasts all day. I’m so glad that I’ve discovered this little gem – I’m currently contemplating which bits and bobs to take with me on a few trips I have lined up, and I know this one is coming with me! Undoubtedly, the most fashionable things in the world of dental care have to be coconut oil and charcoal. They’re a seemingly odd combination (after all who would think that something completely black would whiten teeth?!) but rather amazingly, Diamond Whites have managed to combine the two in their new Black Edition Liquid. 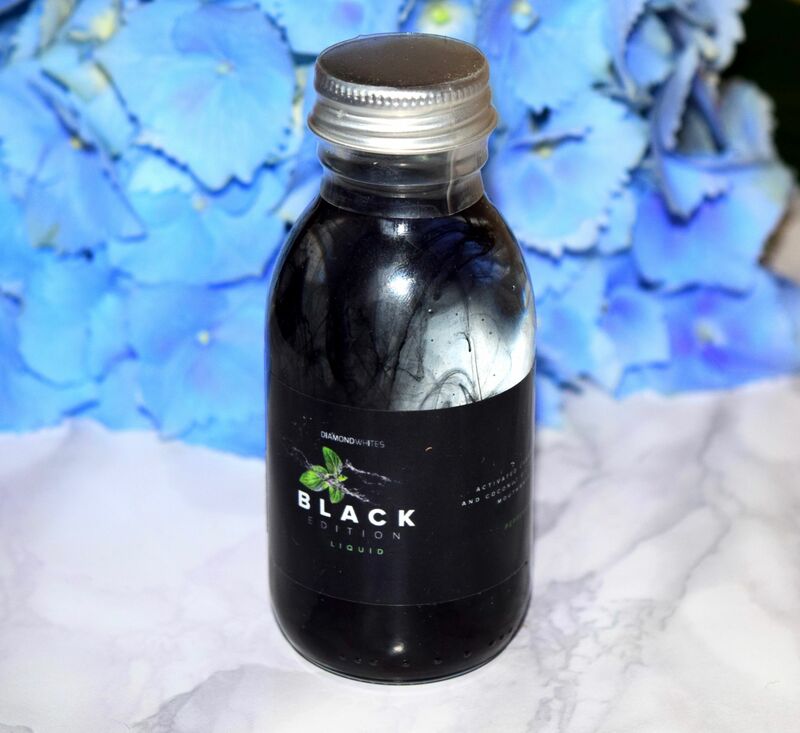 The Black Edition Liquid basically makes oil-pulling incredibly easy, as it’s a mix of coconut oil and charcoal. Diamond Whites recommend swishing it about for 15-20 minutes, but that can be a little hard, so I normally use it for around ten. Since it’s liquid already, you don’t need to faff around in the bathroom melting coconut oil. Instead, it’s ready to go, and within a single use I can see and feel the difference. Teeth look whiter and my mouth feels incredibly clean. 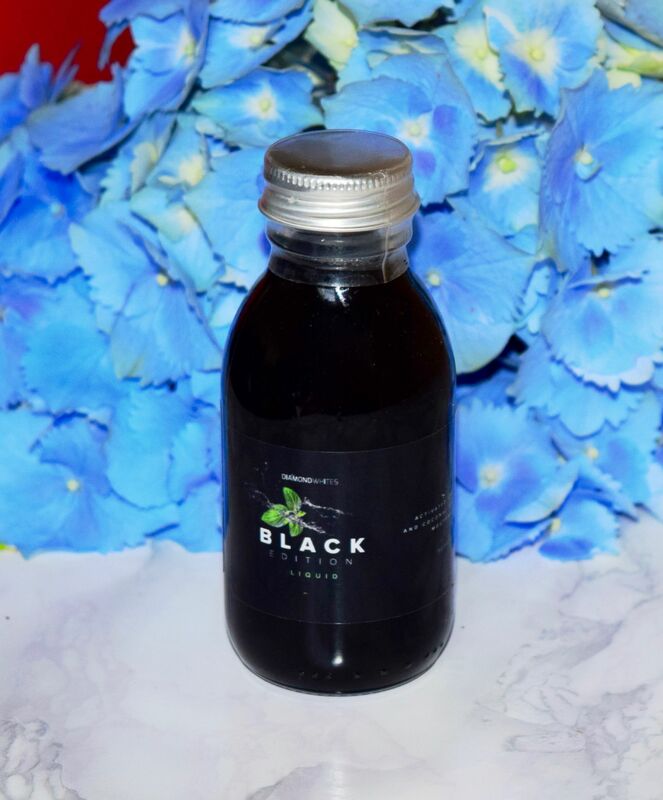 Diamond White Black Edition Liquid is priced at £9.99 and is available here.